Today is International Women’s Day, which is dedicated to celebrating “the social, economic, cultural and political achievement of women.” However, it also recognizes that in many places in the world – even in the developed world – women are still being systemically denied many of the same rights and opportunities that men enjoy. To honor the day, I asked some fellow travelers to recommend organizations they know that are uplifting and empowering women around the world. This is the second of two posts (Read the first post here: Organizations Empowering Women around the World). Based in Kalwa slum, on the very edges of bustling Mumbai, the Sundara Foundation is India’s first soap recycling program. 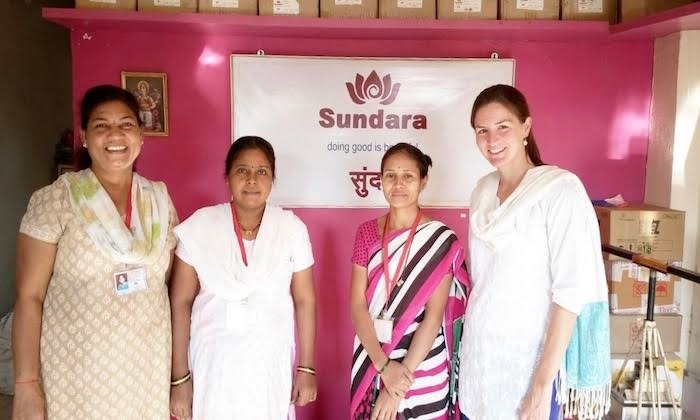 Currently employing 26 women from the surrounding slum areas — who would otherwise lack the opportunities to find work — Sundara is providing a new source of hope. 70 million Indians currently do not know what soap is or cannot afford it, and as a result people die each year from preventable diseases that take hold due to lack of hygiene. Sundara relies on hotels such as Abode Boutique Hotel in Mumbai that donate unwanted soap and soap ends. The hundreds of kilos of soap waste from all over Mumbai is taken, broken down, purified, sanitised, and recycled into new soap bars. Each month soap and hygiene trainings are delivered to more than 2,000 children in some of India’s poorest slum areas. Soap literally becomes hope for the women working for Sundara and those to whom they distribute the soap. You can visit support the Sundara Foundation by donating, or if you are in Mumbai, you can visit the Gabriel Project Mumbai that oversees Sundara via Visit.org. In the low-income district of Huaycan, The Light and Leadership Initiative (LLI) seeks to improve the availability and quality of education for local women and children. The women’s empowerment program offers educational workshops and certificate courses in subjects such as computer literacy, financial education and nutrition to more than 80 local women each year. Almost a self-sustainable program, the women’s program is mostly funded by LLI’s fair trade project. 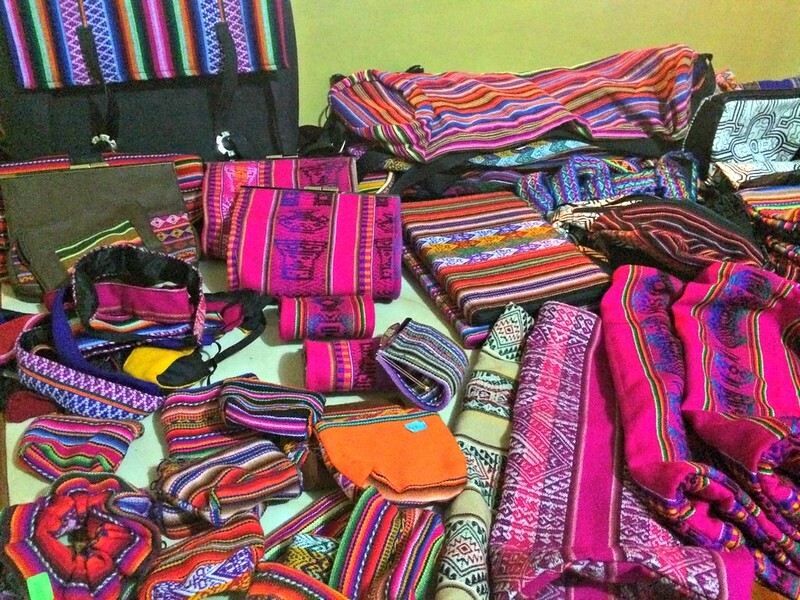 Called Huaywasi, the artisan program has helped seven local women, all LLI women’s empowerment program participants, produce beautiful and practical handmade bags, apparel and home decor available on Huaywasi.com. The statistics are astounding. Today, 1.6 billion people in the world do not have access to electricity – one-quarter of the world’s population. Can you imagine a life without electricity? How would you do anything after the sun sets and how would you keep your family safe at night? Even worse, 70% of the people without light are women and girls who must rely on harmful and expensive kerosene lanterns and candles. Without light, they are at greater risk of physical and sexual violence as they walk through dark, rural areas. Other critical things such as health care and education suffers as women are unable to deliver safely in the dark and children cannot study once the sun goes down. Life without electricity is unimaginable. But the future is very bright. “Advances in portable clean-energy technology like solar, clean cookstoves, and mobile charging mean we already have the technologies required to leapfrog from the age of archaic kerosene cans to that of sustainable energy for all,” says Katherine Lucey, founder of Solar Sister. “We also have the tremendous power of women’s networks and ingenuity to light up the world. Women and girls may be the most affected by the problem, but they are also the most effective at forging a solution.” This is the premise behind the start of Solar Sister. Solar Sister eradicates energy poverty by empowering women with economic opportunity. They combine the breakthrough potential of clean energy technology with a deliberately woman-centered direct sales network to bring light, hope and opportunity to even the most remote communities in rural Africa. To date, there are more than 2,500 Solar Sister Entrepreneurs spreading light, hope and opportunity throughout Sub-Saharan Africa. Contributed by Nicole of thirdeyemom. Read more about Nicole’s experience here: Solar Sister: Providing Light and Hope in Sub-Saharan Africa. SASANE is ran by survivors of human trafficking for survivors. SASANE has four key programs that help empower women and make a change. Their paralegal program helps train survivors to become certified paralegals so they can provide free access to their services to other survivors. The Sisterhood of Survivors program is for survivors who lack a high school diploma and can’t become certified paralegals. This program was created to provided training to girls in the hospitality industry through offering a lunch program and momo (dumpling) making course which helps with their culinary skills, customer engagement and conversational English. On top of these core programs, SASANE works to educate those in school and communities with their outreach programs on human trafficking issues in Nepal. Contributed by Lauren of Twirl the Globe. Read more about Lauren’s experience here: Visiting Nepal’s Survivors of Human Trafficking at the SASANE Project. AusCam Freedom Project is a registered Australian charity that aims to empower adolescent girls from impoverished communities to break the cycle of poverty and exploitation with education and holistic support. Some of their projects include life skills & development programs, girls empowerment clubs, learning labs and health workshops for women and girls throughout Cambodia. The 2015 short film Sophea’s Dream, directed by UK Film Director Ross Harrison for AusCam Freedom Project, highlights the work being done empowering girls through education in Phnom Penh, Cambodia. East Timor is a very young country, and the unemployment rate in the country is still very high. 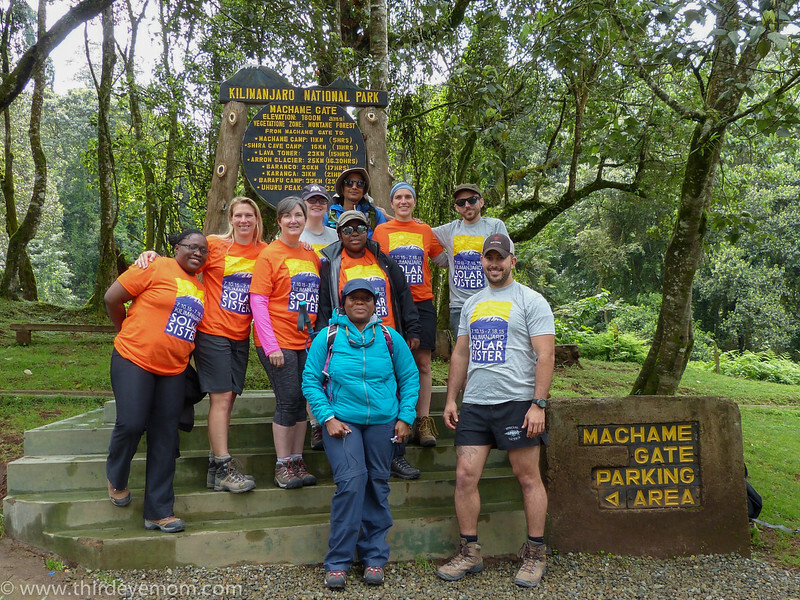 In 2001, the former First Lady, Dr. Kirsty Gusmao, founded the Alola Foundation, an NGO that focuses on improving the lives of women and children. One of Alola Foundation’s missions is to nurture women leaders and advocate for the rights of women. Its motto is a powerful one, “Feto Forte, Nasaun Forte” (Strong Women, Strong Nation). 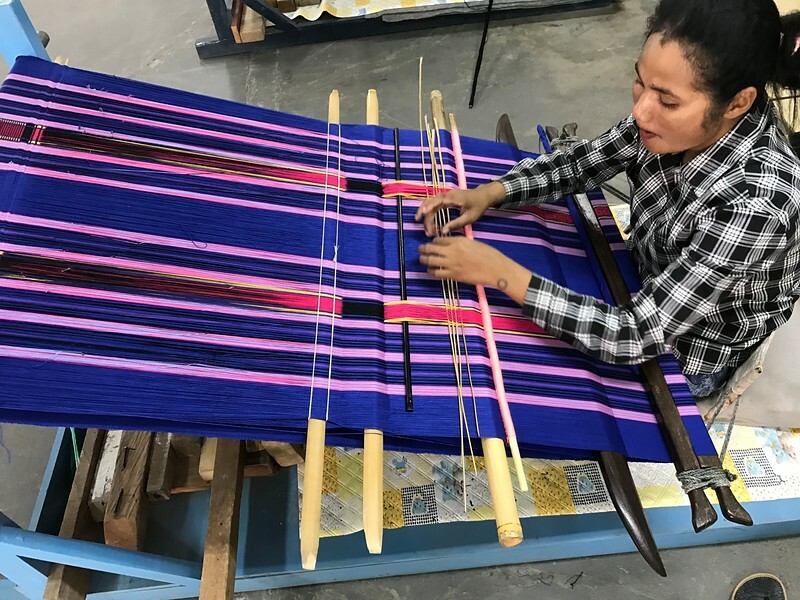 While its main purpose is to assist women and children to achieve their rights to heath, education, and economic empowerment, the day-to-day operations can be seen by the production of the famous and beautifully crafted Tais cloth. You can visit and purchase some of these handmade craft products from the Alola Foundation workshop. There you can meet some of these women and learn about the Alola Foundation’s mission and the typical life and culture of East Timor. This production center is one of the highlights of Dili. Vicente Ferrer Foundation works in Anantapur one of the poorest areas in India. They help the dálits (or “untouchables”) through different programs. I especially liked this workshop for girls with disabilities. In the past, these girls were a shame in these communities. Many were hidden in the house by the family; they did not exist. Starting this project was not easy: the organizers had to go house by house trying to convince the families to let their daughters join this workshop. Not all the families accepted. Girls spend the week in this workshop, usually far from their villages. They learn handicrafts, and they have a bed, food and a salary for it. They enjoy working at the veranda, and they have made friends. Some weekends they stay to spend more time with their girlfriends! We learned that some girls used their first paychecks to buy some jewels to look pretty. They sing, they look happy, they are useful! Osmose is a not-for-profit association that started work in 1999 in the floating village of Prek Toal in Cambodia. The project’s objectives include the conservation of the water bird colonies of Prek Toal, the protection of the environment and the sustainable development of the local communities through tourism and fair trade, helping to reduce poverty and improve the livelihood of the poorest families that live in the floating villages. 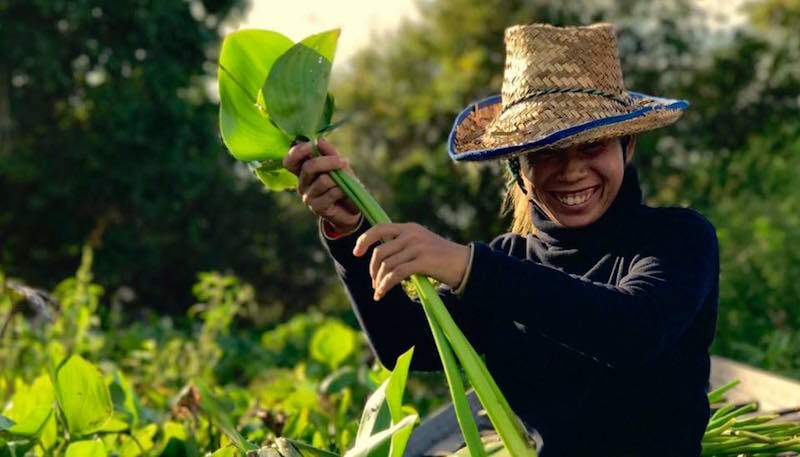 In 2004 the organisation established the Saray Tonle Water Hyacinth Handicraft Program, a program that offers employment to the women of the floating villages of the Tonle Sap Lake. Starting with only 16 women, today 21 women work for Saray Tonle, giving them opportunity to be involved in the local economy of the village and benefit from a sustainable income. Osmose recently obtained some funds from the Belgian Cooperation to build a floating workshop. The workshop is now a cooperative/community project which is fully managed by the women, with the advice and facilitation of Osmose when needed. Thanks for reading, Anisa! There’s still a long way to go, but these organizations are definitely making a difference in the lives of the women they help. Really inspirational! I have actually heard about the Solar Sister before. It´s always nice to see & follow such organisations and projects! Thanks, Kat! It is amazing how access to energy can not only improve the health and education of women but also protect an area’s natural resources – it’s something that we in the Western world take for granted for sure. Thanks, Julia! I hope you find their work to be inspiring. These all sound like excellent organizations but how cool is the Sundara Foundation? They’re recycling soap! Plus saving the lives of so many women and children. It’s such a creative and simple idea. I love it. I know, right?! It’s amazing how most of us in the Western world take soap for granted and don’t stop to think how it can literally saves lives in developing countries. That’s awesome. We need more of this!